Kea, also known as Tzia, is an island full of beauty, history, myths and contrasts. Visitors fall for its emerald seas, mountainous nature, Royal Oak forest, verdant vineyards, magnificent archeological sites, traditional villages, deserted windmills and charming chapels. 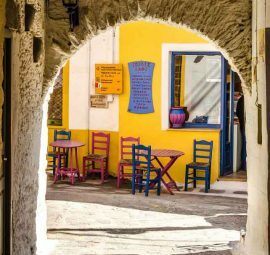 Kea’s architecture has an authentic character that sets it apart from the rest of the Cyclades due to its earthly colors. Over the years more and more Athenians choose Kea to build their luxurious villas on the slopes of its hills and the most out of its majestic sea view. 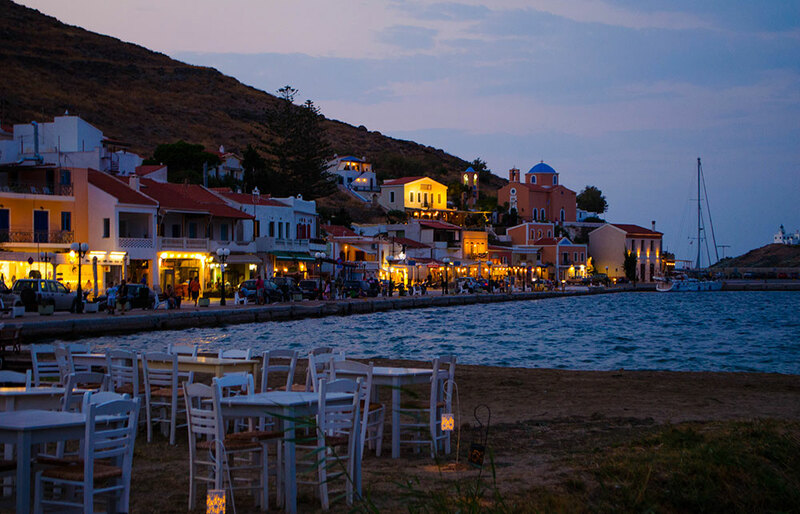 Only 1.5 hours away from Athens, the island of Kea is an idyllic weekend resort for the stressed city traveler, a perfect wedding destination but also a great choice for couples and families that seek a true relaxing experience as it is almost kept secret from the crowds. Agios Nikolaos Lighthouse: is the first lighthouse ever lit in the Cyclades and one of the oldest lighthouses of the country. It was built in 1831over the ruins of the temple of Poseidon and is characterized as a protected monument from the Ministry of Culture. 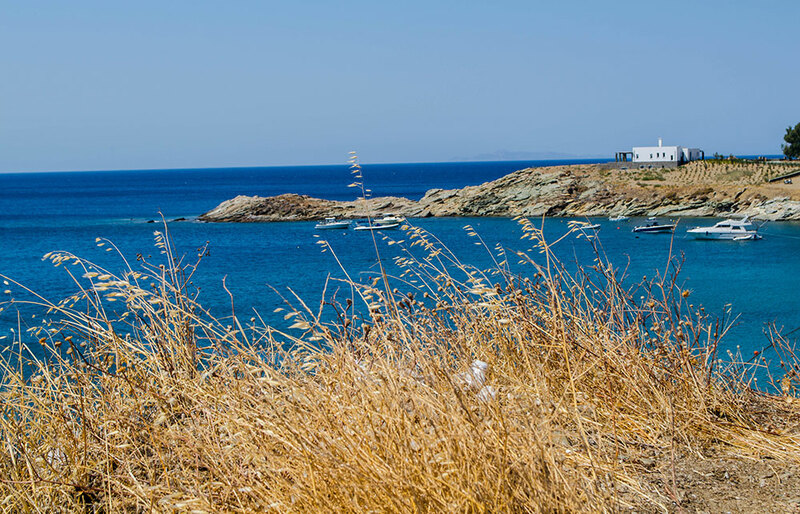 The lighthouse is located at the edge of the port next to Agios Nikolaos church and it symbolized the growth of sea commerce at times when Kea was well known for. The Shipwrecks: mark Kea as a unique diving destination. On its sea bed lay four world famous historical shipwrecks. HMHS Britannica: is one of the 5 biggest shipwrecks in history. The HMHS Britannic launched in 1914 and was one of the largest ocean liners in the world (269meters) and the sister ship of the Titanic. It was serving as a hospital ship when it hit a German mine 5km off the island of Kea in November 1916. Despite the fact that the mother company had improved its design significantly after the sinking of the Titanic, the ship sank in just 55 minutes. However, thanks to the appropriate rescue equipment 1300 people were saved, while sadly 30 lost their lives. The shipwreck can be seen off the port of Kea at a depth of 120m. More than 1,000 wrecks have been mapped in the Greek seas and some are already designated museums, but Kea dreams of becoming a global underwater World War I museum with three wrecks. Patris (formerly known as “Otho”): was a luxury steamship constructed on the River Thames in England upon request of King Otto. In 1868, Patris sank near Koundouros, on a journey from the port of Piraeus to the island of Syros. Fortunately, the 500 people on board survived. The wreck remained unknown for 138 years and was discovered after 30 diving attempts in a 3 year period. Objects from the wreck can be seen at the Industrial Museum of Syros. S/S Burdigala: was a French commandeered ocean liner constructed in Poland in 1897, which sank in 1916, one week after Britannic, by a mine laid by the same German submarine that caused the sinking of the Britannic. The shipwreck was discovered coincidentally in 2008 by the Kea Dive Expedition in a depth of 70 meters 2 miles from the shipwreck of the Britannic. Junkers 52: was an aircraft of the German Arty employed during the battle of Crete in 1941 and Leros in 1943 that was forced to land on sea in September 1943. It was discovered at a close distance from S/S Burdigala by Kea Dive Expedition in 2009. Ancient Karthea: is the most significant archeological site on the island located at Poles area. Karthea was the most important of the four cities that flourished on Kea in antiquity. As findings reveal, the city was founded in the archaic times, reached its peak in the 6th and 5th century BC and survived as a settlement until Byzantine period. The ancient city had public buildings, laboratories, mines and water supply system and was surrounded by defensive walls and extensive towers. Today the site includes the remnants of a fortified acropolis, Apollo (5th century BC) and Athena (late 6th century) temples and an ancient theater (1st century). The site located about 23 km from the capital of Kea, and is only accessible by foot or boat. Excavation findings are displayed in the Archeological Museum of Kea. Windmills of Kea: constitute the biggest windmill complex in the Cyclades (20 in total). Kea’s gusty northern winds lead its residents to build grinding windmills above the town of Ioulida. After World War II most of them were ruined and used as warehouses. The Stone Lion of Kea: is the trademark of the island, which lies at the edge of Ioulida, little past the cemetery. It is a big archaic statue carved from stone sometime prior to 600BC and resembles a smiling lion. The statue is connected with many legends. According to the most dominant one, Kea was known as the Water Island, inhabited by water Nymphs who kept the land fertile and green. One day, for unknown reason, Nymphs started to kill the women of the island. A priest prayed to Zeus for help and the God send a lion to chase the Nymphs out of the island. When the godsend Lion accomplished its mission it was petrified to the rocks so the Nymphs would see it, get scared and never come back again. With the departure of the Nymphs, Kea transformed into a very dry and barren landscape. The inhabitants of Kea then asked Apollo’s son Aristeos for help. Aristeos managed to appease the Gods and drought was significantly confined by the beneficial northern winds, “meltemia”. 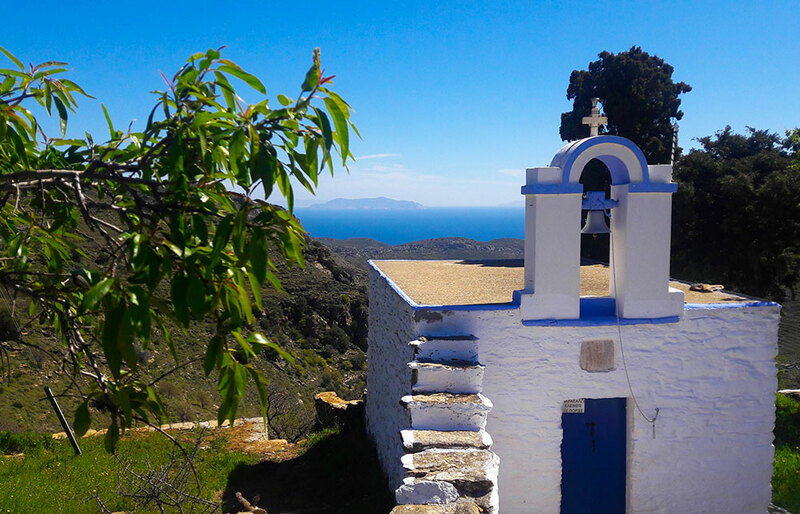 Panagia Kastriani Monastery: is standing on the edge of daunting cliff overlooking the Aegean Sea and offering mesmerizing sunrises as well as sunsets. The monastery was built there due to the icon of Virgin Mary found in the area in 1700 AD by some shepherds, who saw a strong ray of light on the abrupt cliff. Royal Oak Forest: is one of the few oak forests remaining in the Cyclades. The oak trees found in the mountains of the island have played an important role in Kea’s economy. In the old days oak trees fruit, Hamada, ¬provided the residence with jobs, since it contains large amounts of tannins used in leather tanning. Hamada was sold to factories in Greece and other European countries. Chemicals gradually replaced the natural raw material and today oak forests are protected with very strict measures ( it belongs to Natura 2000). Enamel Factory: was the biggest metalwork factory in the Mediterranean located at Korissia. The factory operated from 1927 to 1957 and played a central role in Kea’s economy. It produced enameled products, including helmets, cups, and water bottles for the Greek Army, and the goods were exported via railroad that led to the port. It ceased to operate after the WW2 as there was no longer need for production of war equipment. .Since 1991 it has been regarded as a preserve monument due to its contribution to the study of the industrial culture of Greece. Archeological Museum: is one of the most important museums in the Cyclades, with unique finds from excavations on the island. Exhibits include inscriptions, sculptures, votive reliefs, everyday objects, pottery, coins and architectural pieces from the sites of Ioulis, Karthea, Korissia and Pissa. The Archeological Museum is located in Chora. Ioulida or Chora is the capital of the island spread over three hills, offering magnificent views to the Aegean Sea. 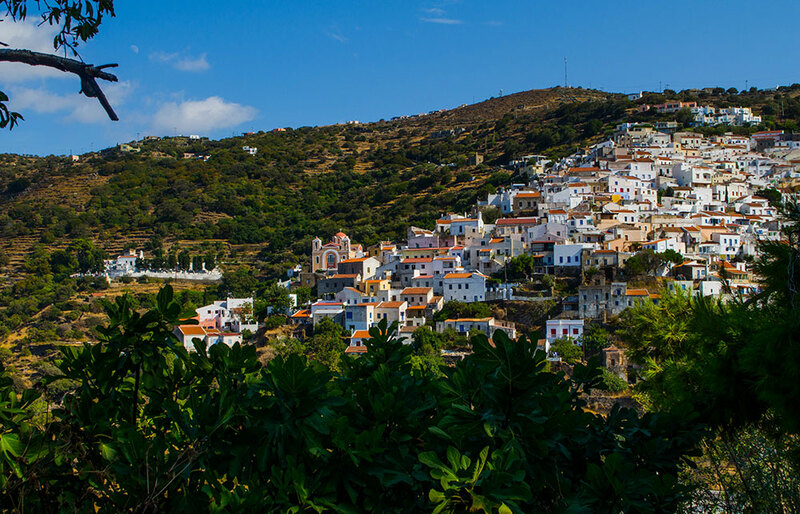 Ioulida has an authentic atmosphere with traditional white houses, red tile roofs, narrow stone-paved alleys, charming chapels, arched passages, deserted windmills, picturesque little shops and taverns. 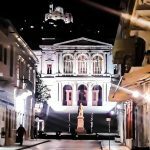 In the Kastro (Castle) district you will find the remnants of a Venetian castle built in 1210, antique fortifications and Acropolis, while in Chora you will also find the Archeological Museum, one of the most important museums in the Cyclades, the Stone Lion of Kea and the Benjamin’s Spring with marble columns, perennial plane tree and the majestic view. Korissia is the main port of the island and is considered one of the safest harbors in the Mediterranean. 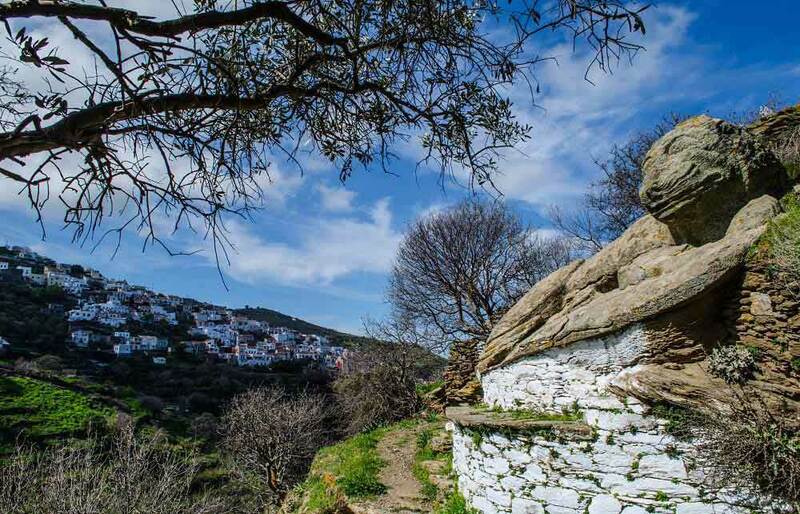 This traditional village with its whitewashed houses, picturesque alleys and scenic churches is one of the main touristic attractions in Kea. This place is famous for many reasons. Here it was revealed the renowned Kouros of Kea, a significant sculpture of the archaic times that is exhibited at the National Archeological Museum. Also here was the old Enamel Factory, once the biggest in the Mediterranean. 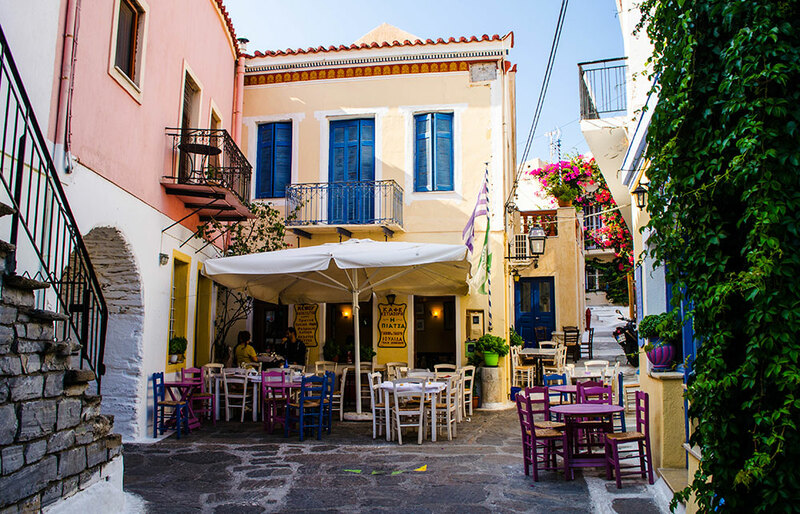 In this picturesque port you will find many shops, restaurants, cafes, bars and accommodations. Vourkari is a seaside village with cosmopolitan atmosphere. Here you will find exceptional fish restaurants, art gallery, lots of night life options and many yachts’ moored in its harbor. 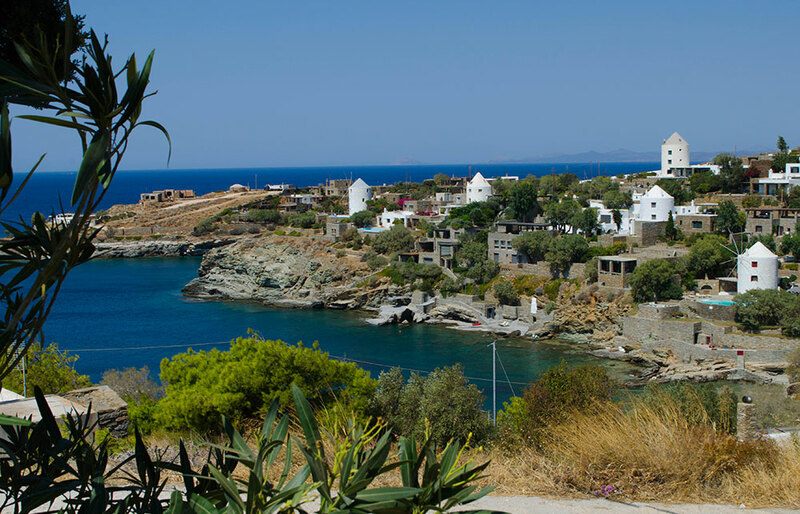 Just across Vourkari is the peninsula of Agia Irini, with the homonym charming chapel. Agia Irini was an important prehistoric settlement. Important archeological finds from the area include the Temple of Dionysos (2000BC) and “Kores” (50 clay figurines from Late Bronze Age). Further in the peninsula you will find the abandoned area of Kokka and Lambros Katsonis’ memorial, a Greek revolutionary hero of the 18th century. Katsonis used the harbor of Kea as a base of operations against the Turks. When he and his people were attacked by the Turkish fleet, he managed to escape by dragging his boat over a very narrow passage of land, now known as "Katsonis Strait". Following the path from the Katsonis strait will lead to the lighthouse of Agios Nikolaos, one of the oldest in the country. The Greek Ministry of Culture and Tourism has declared it a monument of significant architectural construction and representative lighthouse sample. Finally, north of Agia Irini you will find the area of Kefala, another important archeological site. Here it was discovered the first organized cemetery in the Aegean, dating back to the late Neolithic area. Korissia: is a long sandy beach right next to the port of Kea. It is an organized beach with sun beds and several umbrellas offering ample shade. It is often preferred by families with children because it is a nice, quiet place to relax and enjoy the sun. Pisses: is nice sandy beach with deep blue waters on the southwestern part of the island. Pisses is well organized with volleyball net, umbrellas and sun beds. Water sports enthusiasts can take advantage of the summer winds here and enjoy windsurfing and kite surfing. Near the beach you will also find Kea’s only camping, a restaurant and a mini market. 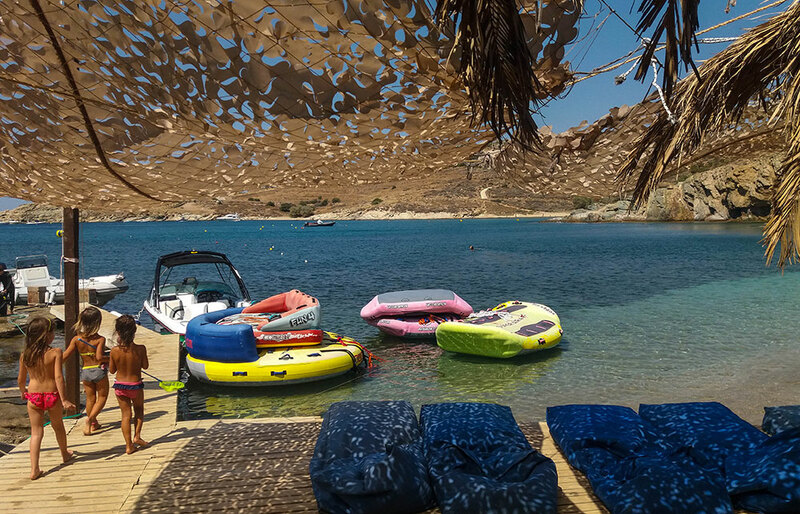 Koundouros: is located on the northwest part of Kea and is the most cosmopolitan area of the island with lots of yachts’ anchoring in its protected waters during the weekends. Here you will find beautiful villas overlooking the ocean and enjoy magnificent sunsets. 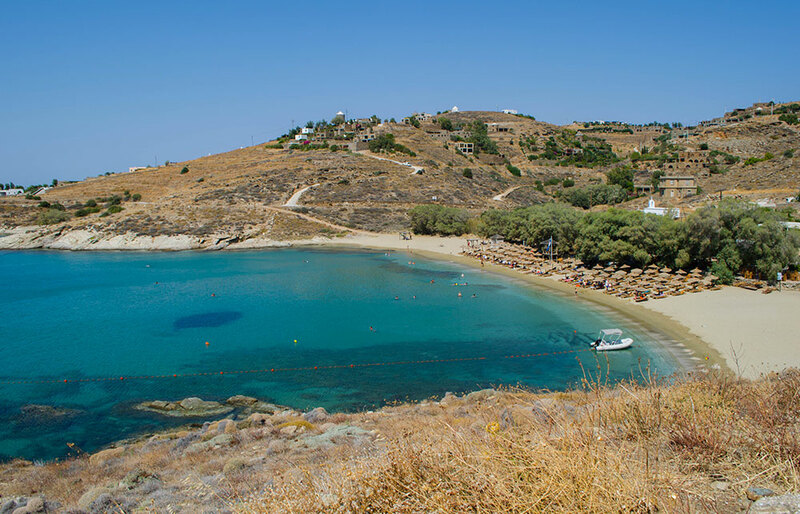 Koundouros sandy beach has been awarded with a blue flag. It is fully organized with many amenities nearby, including tavernas and accommodations. Koundouraki: is a sandy beach with crystal clear waters close to Koundouros beach. 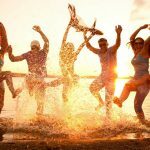 It is fully organized with umbrellas, sun beds, massage tent and water sports center, where you can do waterskiing, wakeboard, tubes, banana, sea couches, pedalos, scuba diving and more. Kambi: is a quiet, unspoiled sandy beach with blue waters on the southwest side of the island, close to Koundouros area. Kambi is ideal for those looking for serenity and relaxation. Lygia: is located next to Kambi beach, closed to Koundouros. It is a small, sandy beach, with no facilities, offering visitors a great place to relax. Liparo: is a beautiful golden beach with emerald waters, located next to the beaches of Koundouros, Pisses, Kambi, and Lygia. It is isolated and preferred by those looking for tranquility. Access to the unspoiled beach of Liparo is through a dirt road. Orkos: is a peaceful sandy and pebbly beach on the northeastern part of the island. Orkos’ crystal clear waters are ideal for swimming and snorkeling. The beach is not organized and you can enjoy its beautiful nature in private. The ruins of the old mines add up to its special atmosphere. Access to the beach is through a dirt road. 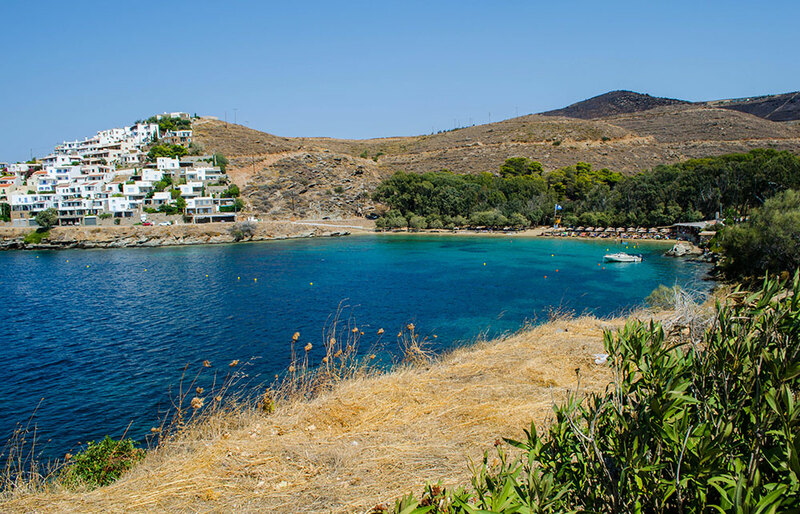 Sykamia: is considered one of the most beautiful beaches of Kea. Sykamia is an isolated sandy and pebbly beach sapphire waters and shadowy trees. 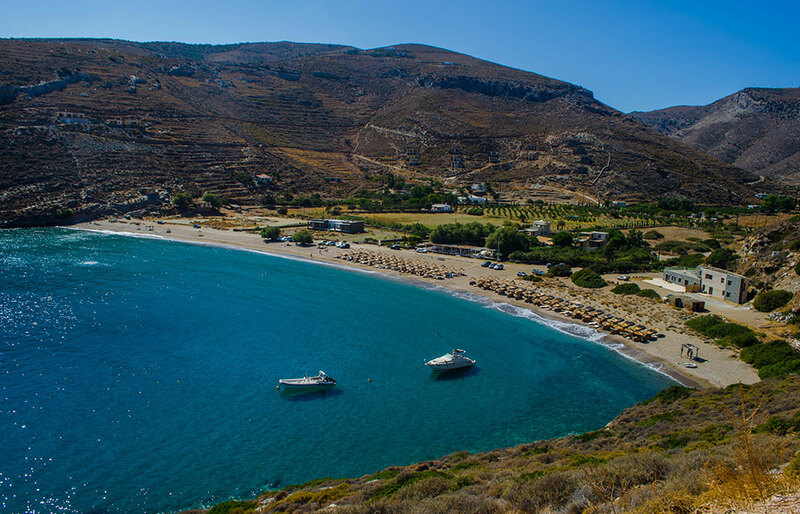 This picturesque beach is located on the east side of Kea, offering relaxing escapes. In order to reach the beach you must go on a short dirt track. Kalydonihi: is a sandy isolated beach accessed through a dirt road on the east side of the island. Kalydonihi’s pristine emerald waters are ideal for those looking to enjoy total privacy. 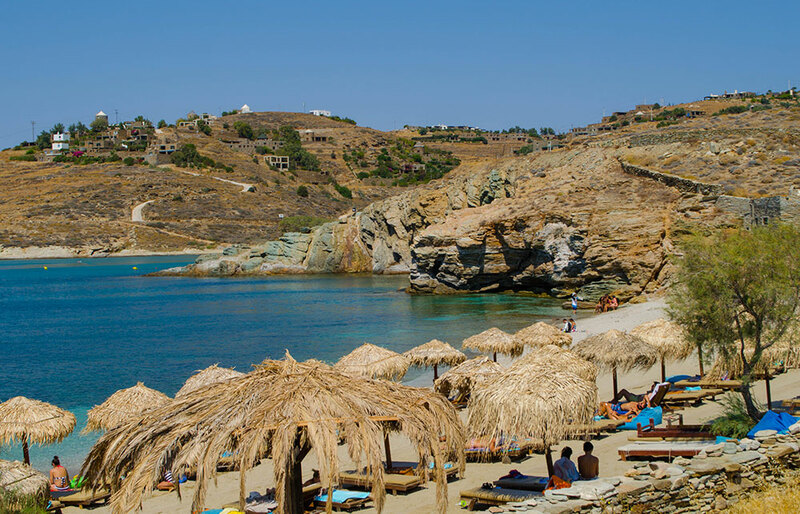 Spathi: is one of the most stunning beaches of Kea, situated on the northeast side of the island. It offers nice fine sand, transparent waters and a nice beach bar. In order to reach the beach you must go on a dirt track. Otzias: is the longest beach on Kea, located in the northern part of Kea. Otzias is sandy a beach with clean waters and is very popular among families because it offers many facilities, including sun beds, umbrellas, children playground and taverns. Vourkari: is a small sandy beach surrounded by rocks and trees offering natural shade, located on a picturesque little port on the north side of the island. Vourkari has a vivid nightlife. 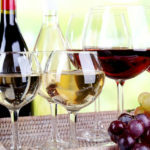 Here you will find excellent restaurants, shops, and bars. 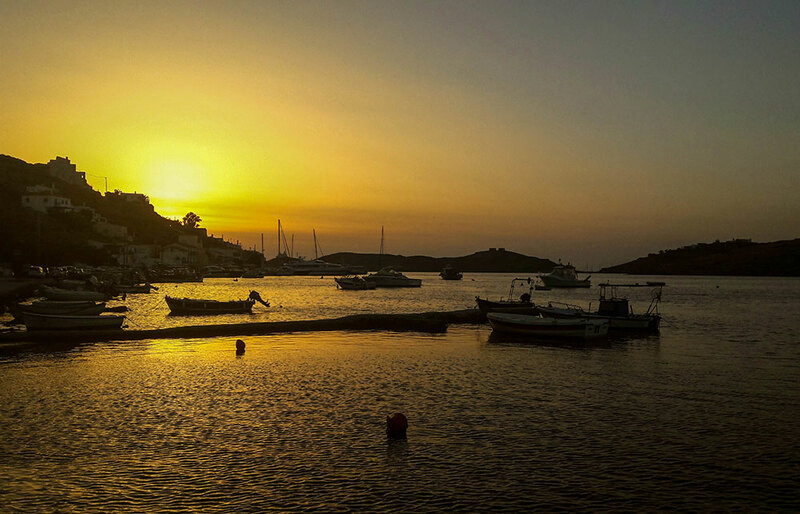 From Vourkari beach you can walk at the very of the port to Agios Nikolaos lighthouse that offers amazing views and unforgettable sunsets. Xyla: is a remote sandy and pebbly beach with crystal clear waters located on the west side of the island. This lovely beach is semi organized with sun beds and umbrellas offering ample shade. Xyla’s peaceful atmosphere attracts many naturists. A large portion of that route is dirt road. Agios Filippos: is secluded pebbly beach with blue waters on the southeastern part of the island. It is only accessible by boat or a by foot (30min walk). Kea is an island of legends and myths. In historic years the island enjoyed a humid climate that cultivated not only a lush vegetation of the landscape but also a lush imagination of the inhabitants. Kea’s first name was “Hydrousa” (hydor = water in Greek) due to its plentiful water and greenery. Its forests and springs were said to be inhabited by Nymphs, the fairies of the water. Legend has it that they vanished from island, terrified, as soon as a lion appeared in the area. Then Sirius, the most radiant star in the sky, burned with its dreadful rays Hydrousa and the rest of the Cyclades and transformed them into a barren terrain. The inhabitants of Kea then turned to Apollo’s son, Aristeos, and asked for help. Aristeos managed to appease the Gods and drought was significantly confined. Since then, the beneficial northern winds known as “meltemia”, blow over the island for forty days when Sirius constellation, the Big Dog, is visible. 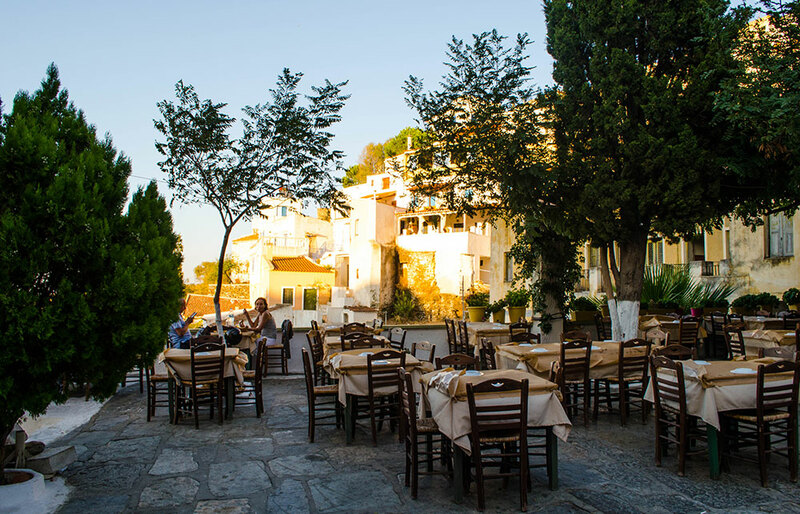 Kea is named after the hero Ceos, the leader of Locrian settlers from Nafpaktos, who believed to have ruled the island around 1100 BC. Prehistoric Times: Kea has been inhabited since Neolithic times. 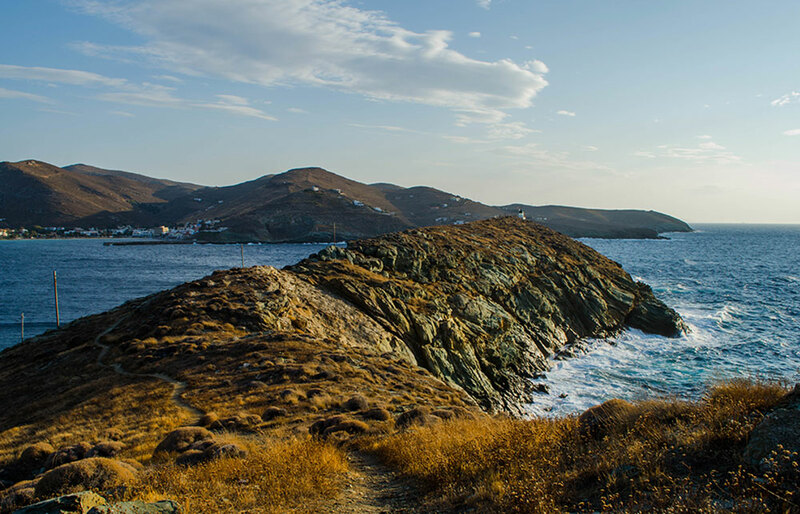 Traces found in the Agia Irini peninsula and the village of Vourkari show that Kea, from the Bronze Ange through the end of the Mycenaen period, served as a hub between the Minoan and Mycenaean worlds, emerging as an important center for trade and culture. Archaic Period: Four economically and culturally powerful cities states are formed on the island, Ioulida, Korissos, Karthaia and Pissa. The island was also famous for its political system, studied by the great philosopher Aristotle described in his manuscript “Keion Politeia”. One of the “cruelest”, but most respected old traditions of the island involved the elderly, as anyone who reached the age of sixty (or was sick or considered useless for the society) would voluntarily kill himself by drinking a cup of conium (hemlock) – the same poison Socrates was executed with. It was called Kea’s law “Keion to Nominon”. Valerius Maximus in 18AD even describes such a suicide, which took place in his presence. An old lady took conium surrounded by her family, having made her will and kissed everyone goodbye. It is said that the law was passed during a long siege and that it was proposed by the older population so that the younger ones could live since their intellectual and bodily powers could not be beneficial to the state. This custom disappeared when the population converted to Christianity. Byzantine Times: The Island came under the administration of the Roman state. The four cities lost their independence and Ioulis became Kea's sole center. Venetian Times: The acropolis of Ancient Ioulis was fortified by the Venetians and the island became known as Tzia. Ottoman Rule: In 1537 Kea fell to the Turks and suffered great destruction during the Russian-Turkish war. Greek State: The island fought in Greek war of independence (1821) and became a part of the Modern Greek State in 1830. Agios Charalambos: is the protector of the island celebrated on February 10th in Ioulida. Metamorphosis Sotiros (Transformation of the Savior): is held on August 6th at Pisses. Dormition of the Virgin: is celebrated on August 15that Panagia Kastriani. Agios Symeon: is held on September 1st at Church of Agios Symeon. Agios Sozon: takes place on September 7th at Otzias. Antiques Cars Rally: takes place in Kea every June. Feast of the Fairy Tales: is organized every July to highlight Kea’s local myths and folk tales. Renowned Greeks and foreign narrators read tales to children and adults in locations of natural and historical importance. Simonideia: is a series of cultural events, including theater, concerts, sports and competitions held every August. Festivities in memory of Lambros Katsonis: is a series of events that take place in the island every July in memory of local hero Lambros Katsonis. Events include talks, tours in archeological and folkloric sites and traditional dances. Feast of Agricultural Products: is organized every August to share the great gastronomic and cultural treasures of the island. Visitors find out about local products, talk with producers and taste the local cuisine.